Heeyyyy Lux Babe!!! I am sure you can totally tell I love the off the shoulder trend this season. I love how it instantly makes your look girly and romantic. The off the shoulder trend shows just enough skin without feeling like you are showing all your goodies. 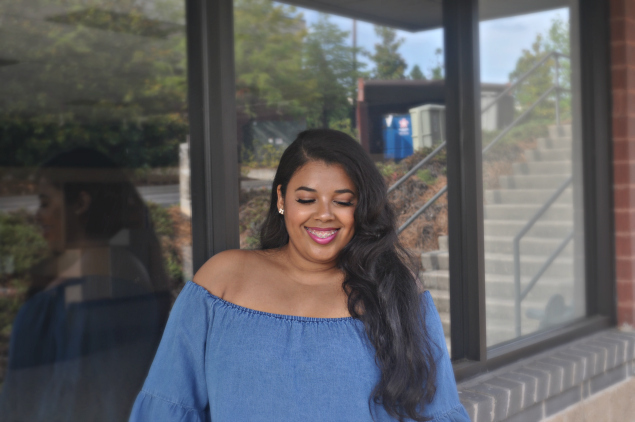 This denim off the shoulder top was perfect for my personal style. It consist of ruffles, high low silhouette, and of course the off the shoulder trend. I liked the high low silhouette of the blouse however, it was a little to high in the front for my liking. To solve that problem I simply wore the top backwards. Yep you read that right! Remember babe if something doesn't wear well one way try it on backwards. I also love to wear my revealing dresses backwards to show a sexxy back detail. The only one that knows you are wearing it backwards is.....YOU! 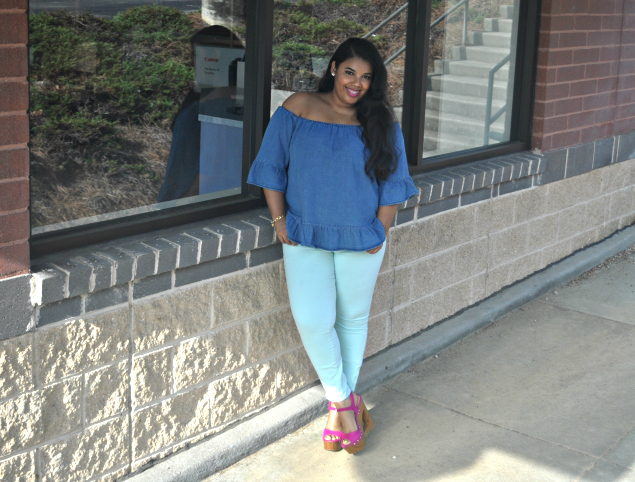 I chose to wear this blouse with mint green jeans and chunky pink wedges to color block the look. I feel like it gave it that extra touch of girlishness. What do you think? 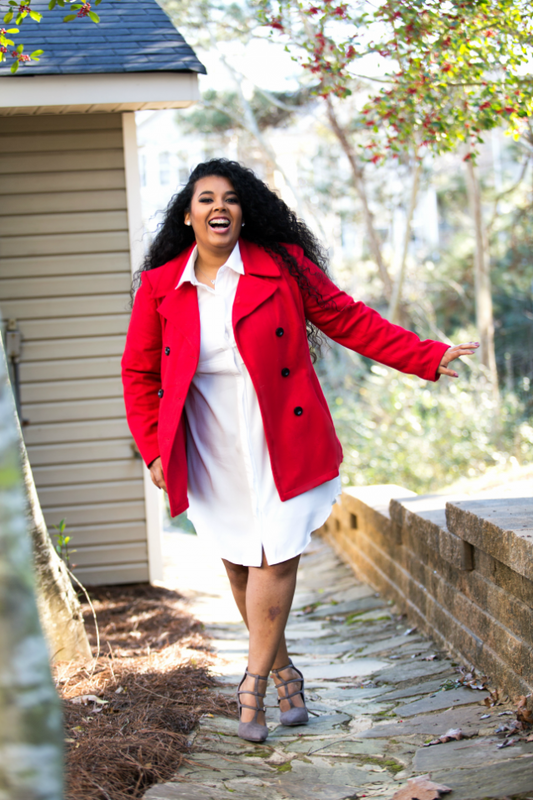 You can totally wear this look to run errands (I did) or a cute comfortable casual date night. Wearing the wedge sandals made the outfit very comfortable and suitable for long walking periods of time. Until next time... Be Unique, Be You, & Stay Lux!